Translations: Pokemon Yellow Famicom Translated! After a few years of work, this project is finished! Here's the English translation of Shenzhen Nanjing's Lei Dian Huang: Bi Ka Qiu Chuan Shuo, otherwise known as Pokemon Yellow. The game is fully playable from start to finish and also includes fixes to the game's music and EXP growth. 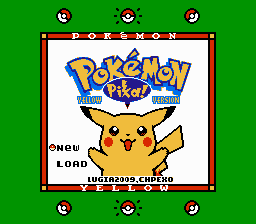 Re: Translations: Pokemon Yellow Famicom Translated! Congrats on another large project! What will do next? Looking forward to this when I have access to my Wii. Thank you. How's the XP curve compared to the original? Anybody know how to get Mew, Johto and Hoenn legends? I want to do some more work on Pokemon Yellow, I'm going to add more events to the game and fix some things. I also want to do a translation of the NES port of Resident Evil. The original version required about 3 million exp to reach level 100, now you need about 1 million. Hey everyone, I've seen this topic and decided to join in. I'm loving the new improvement of Pokemon Yellow for the NES, I've wanted to mention that I've started uploading some of the remixed tracks on my YouTube channel. I even discovered another YouTube user named Koh1dfs who has been uploading some videos of Pokemon Yellow for the NES aswell, but just the Chinese version. By watching a few of his videos, I managed to discover how to get some of the other legendary Pokemon. Here's a list of the Legendary Pokemon locations, a few of them are still in their same locations like in R/B/Y versions. RE obviously means random encounter, I put that there so most of you are aware that you'll only get to encounter these Pokemon once so be prepared, it's your only chance in the game. I still haven't found out where Kyogre, Groudon and Rayquaza are, I've tried searching around most areas around Kanto but no luck yet. And if you were also wondering how to get to Navel Rock/Secret Island (where Ho-Oh is), you'd have to beat the Elite Four again after defeating/catching Mewtwo (I was wondering what Lorelei was saying when I came out of Cerulean Cave). You're battling the E4 again (each person now has 6 Pokemon each) and instead of Gary, Jessie and James of TR are now the new champions (they still have Meowth, Arbok and Weezing, and in addition the final evolutions of the starters). After defeating the E4, go to the building in Celadon City (the door on the right where you get Fly) and battle the trainer in the center of the room (he looks like Brendan). 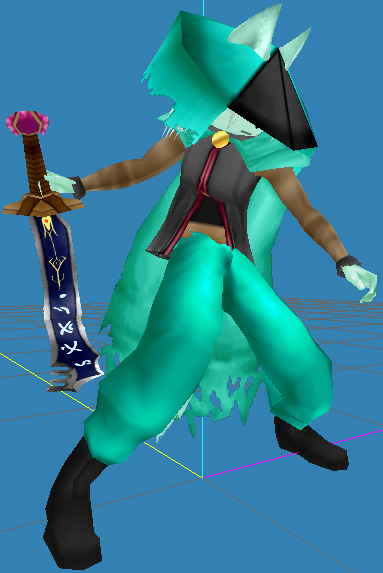 After you defeat him, he'll let you go to Navel Rock, also his team consists of the legendary dogs and R/S/E legendaries. And apparently Koh1dfs said that you can also catch Hitmonlee, Hitmonchan, Lapras, Omanyte, Kabuto and Aerodactyl at Navel Rock. I think perhaps I misspoke. I meant how does the NES port's XP curve compare to the original SGB game? Out of curiosity does anyone know around when the original bootleg was made though? 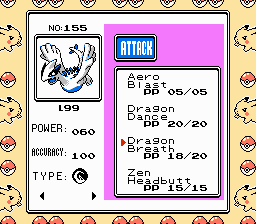 Apparently it has things from FireRed/LeafGreen and the movesets are Gold/Silver/Crystal (according to a bootleg wiki entry anyway), yet the Lugia learns Zen Headbutt in the screenshot?